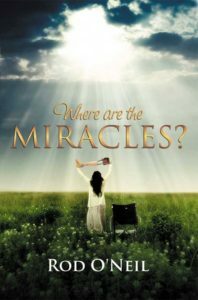 “Where Are the Miracles?” challenges false doctrines and practices prevalent in various Christian circles today, and shows the biblical truth of how and why God is working providentially in this age. This book explores the differences between healings and miracles performed by Jesus and His apostles with those recounted throughout church history. As depicted in the Gospels and Acts, Jesus and His apostles healed supernaturally – instantaneously, completely and repeatedly; they healed anyone and everyone, any time and every time, anywhere and everywhere, with no failures. In contrast, modern faith healers relegate amputees, burn victims and Down syndrome children away from the front rows of their services and from camera view, and only those with functional disorders such as headaches, backaches, a few cancers, are seemingly healed – the same types of healings claimed by hypnotists, shamans, witch doctors, Satanists and occultists.